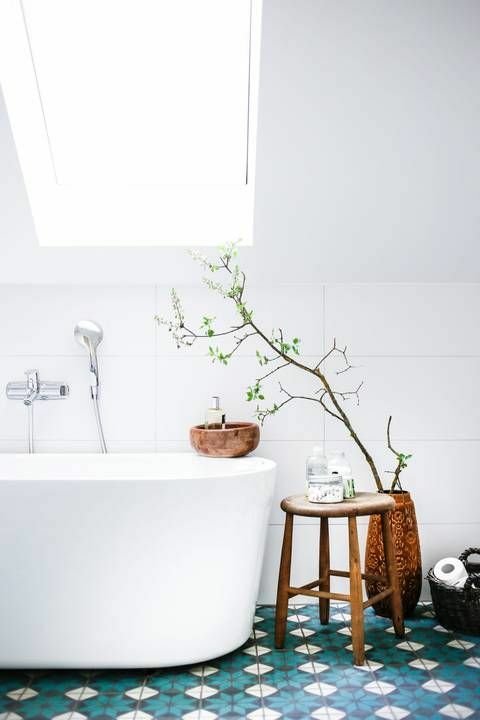 Refreshing a space maybe tricky, especially if it’s a bathroom, which is usually small and is difficult to renovate cause of tiles, heavy bathtubs and stuff like that. 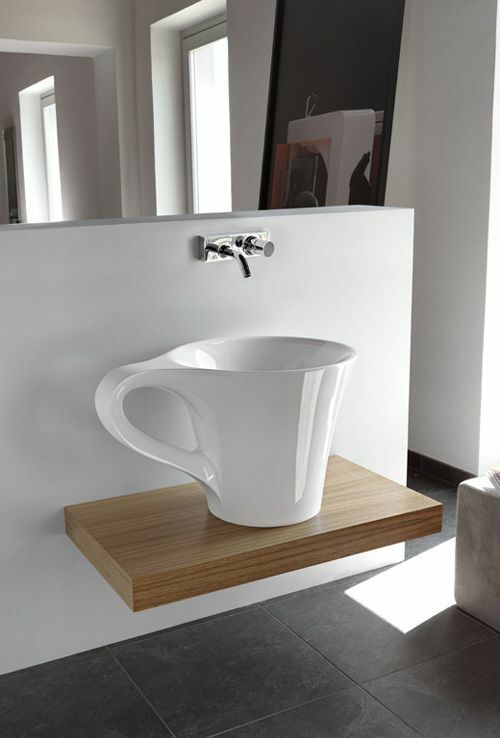 But don’t worry, I have some brilliant ideas for you to get inspired. 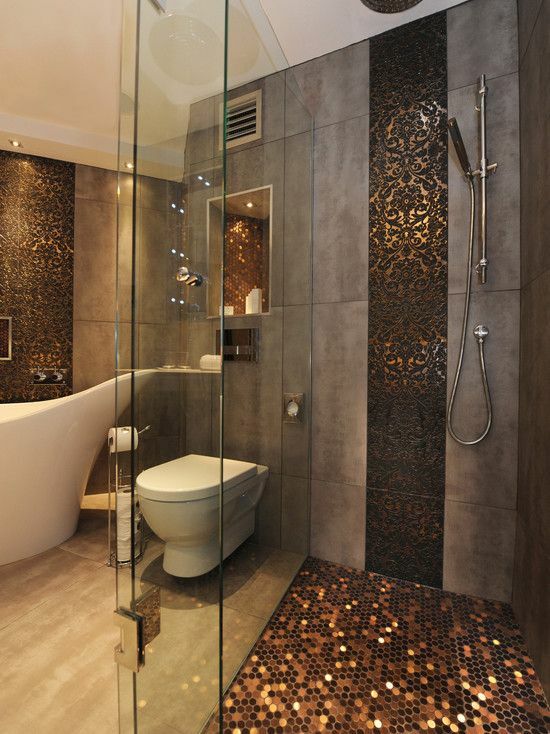 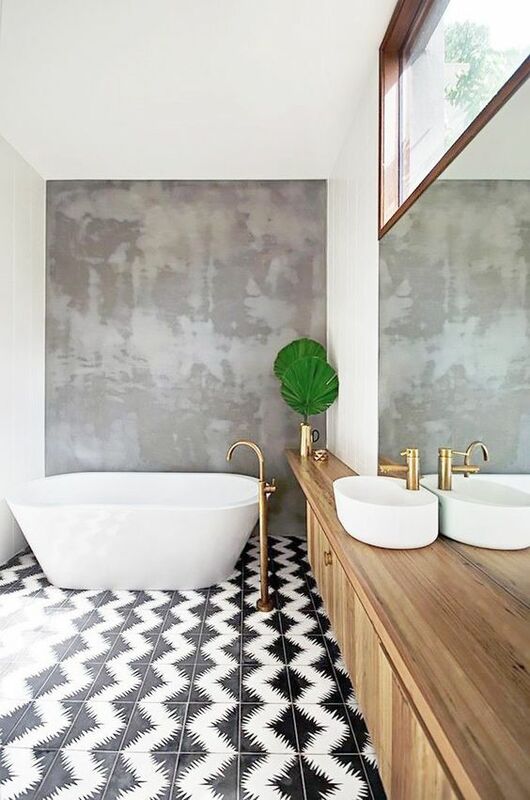 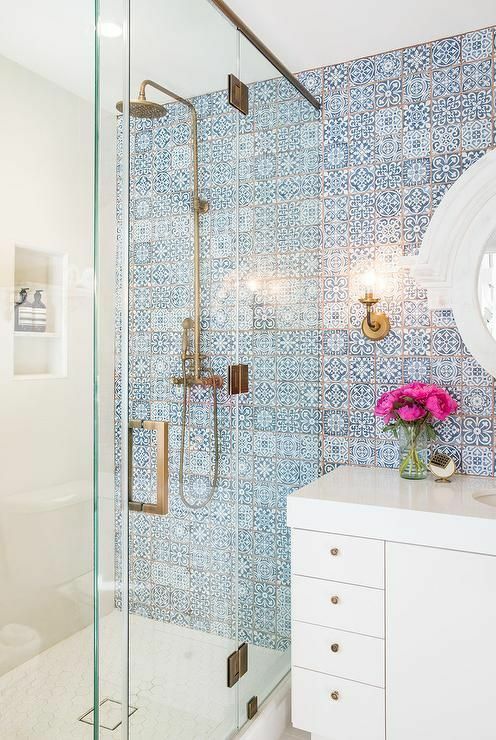 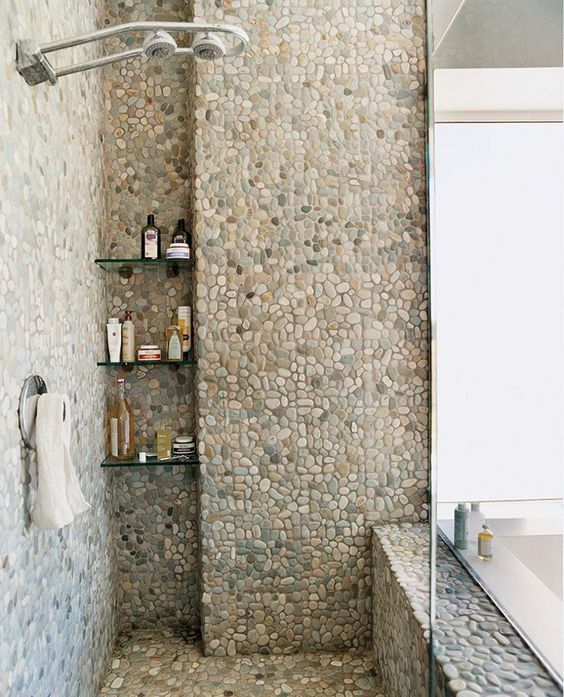 Tiles are perhaps the most important part of any bathroom: they cover the most of the space and create an ambience or a backdrop for the rest. 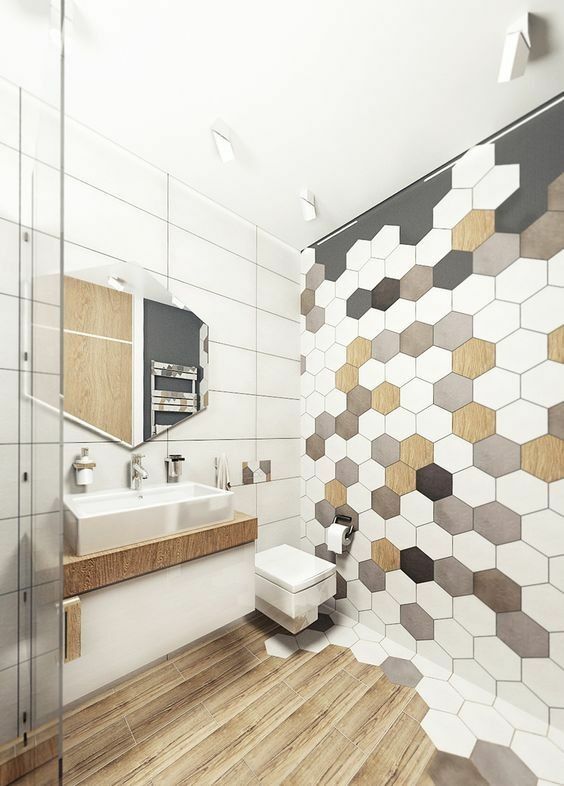 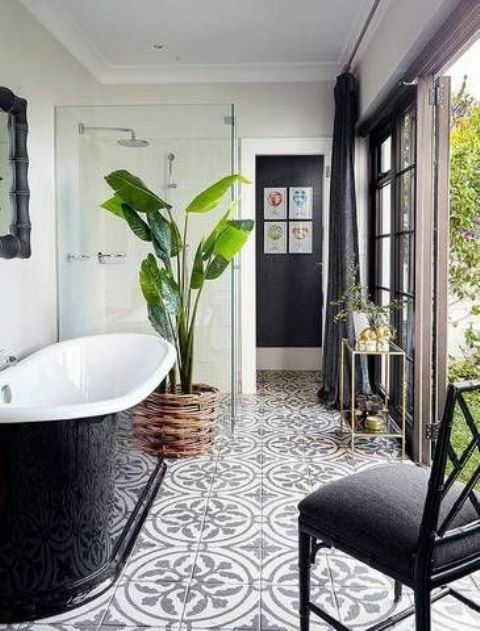 Choosing unique or at least eye-catching tiles will turn your bathroom into a very personalized space that fully expresses your taste. 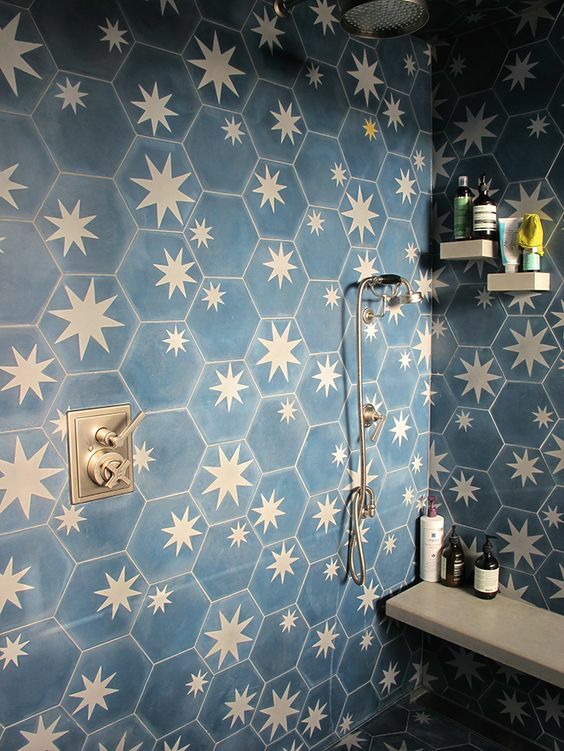 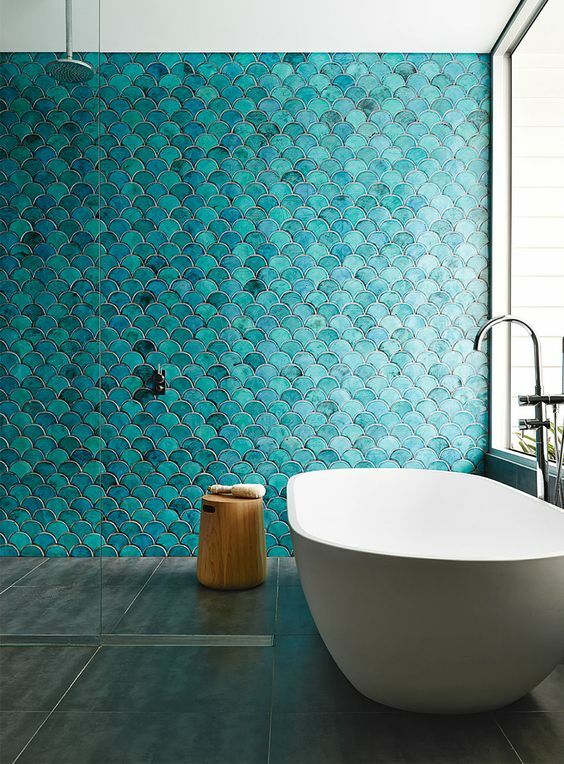 These can be whimsy bold fish scale tiles, unique geometric ones with a transition to the floors, tiles with fantastic prints or clad with various patterns – it’s all up to you and your space but don’t forget that darker tiles will make your bathroom look smaller. 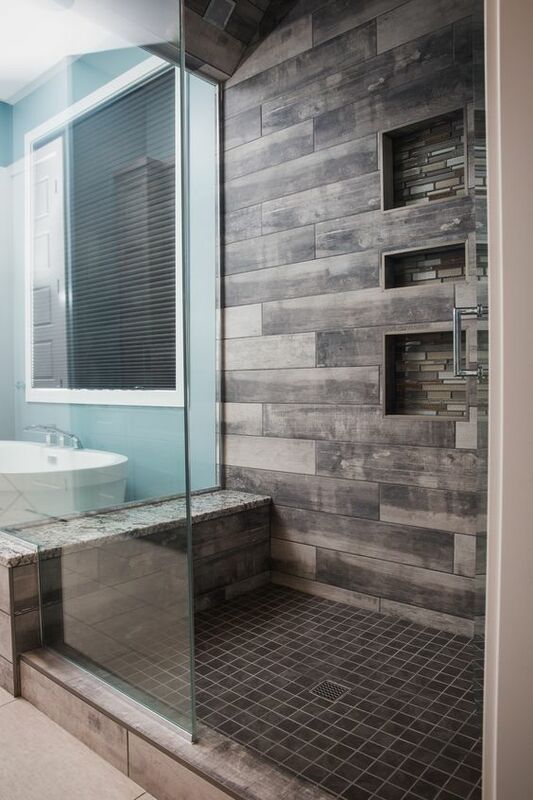 So if you don’t want it, you can go for a bold tile floor or mosaic tiles only in the shower and neutrals tiles on the walls, it will be even easier to realize. 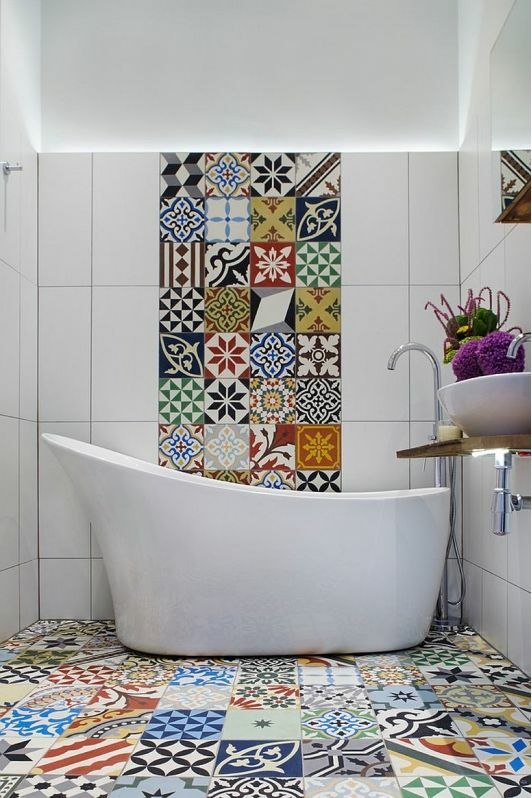 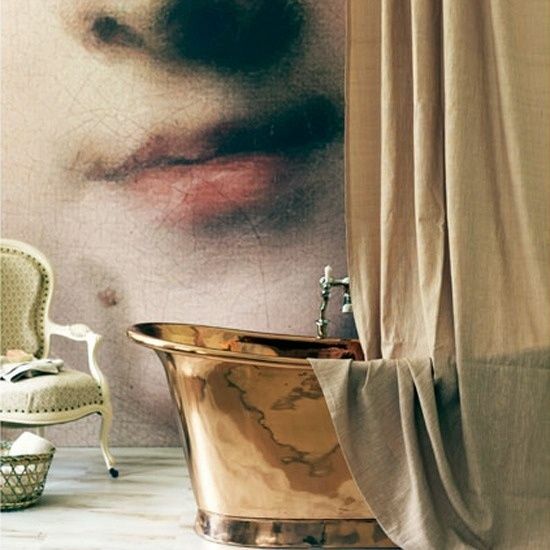 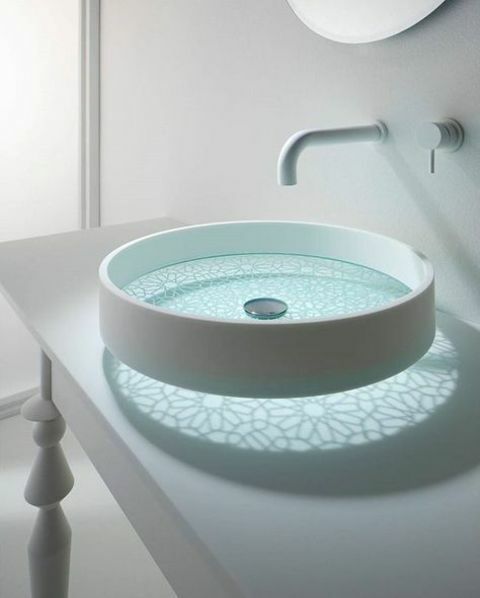 A bathtub and a sink with a creative design can be a great solution to refresh any bathroom and add a focal point to it. 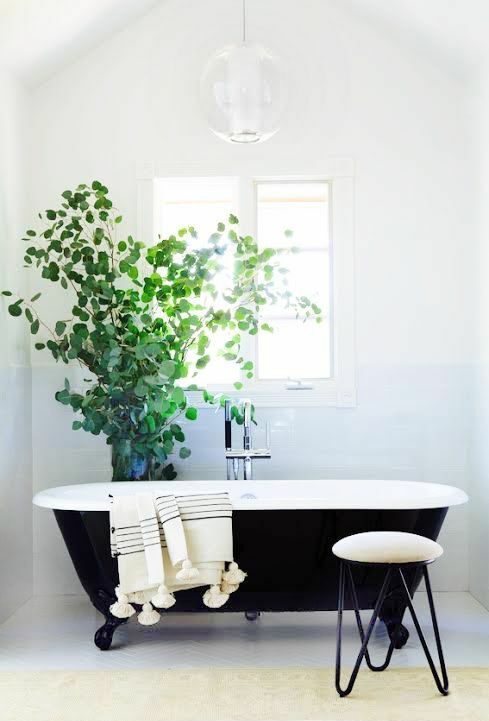 Plus, you won’t have to change a lot in the design of your bathroom, and that’s very comfy and budget-savvy. 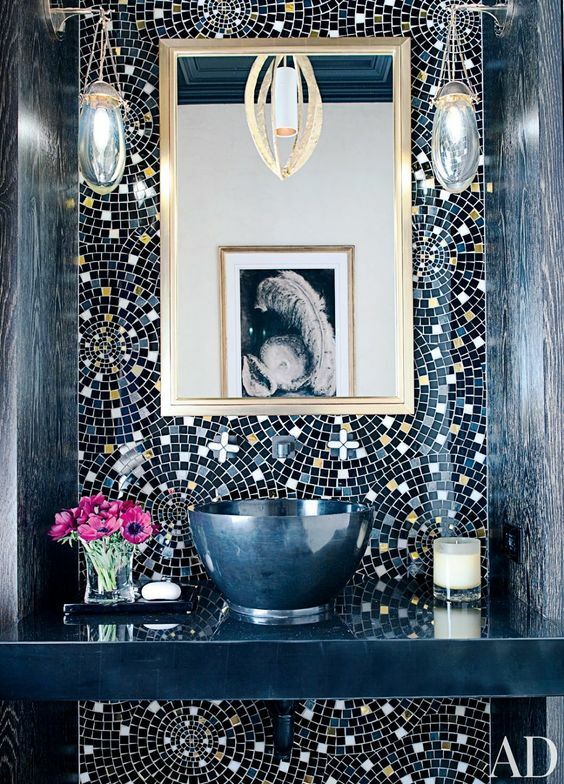 A statement vanity will be also a cool idea, just find what fits your style and colors. 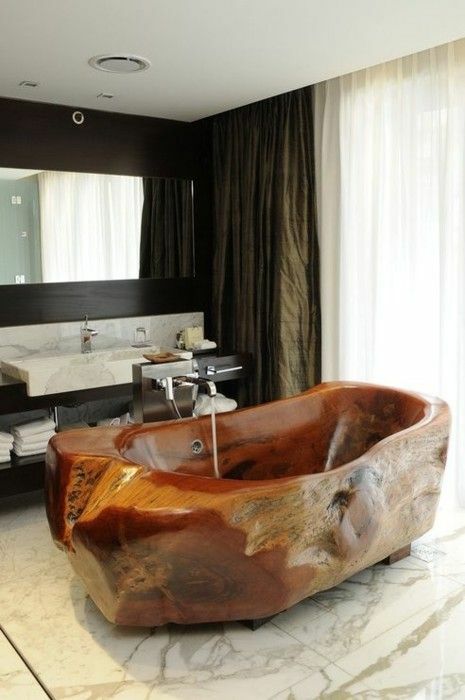 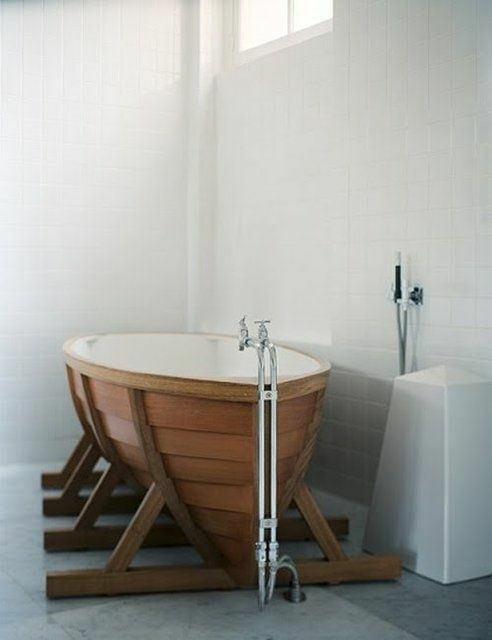 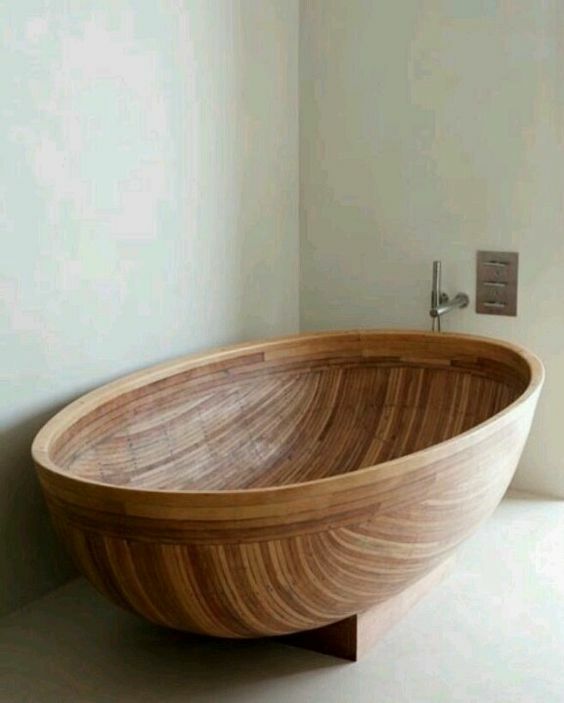 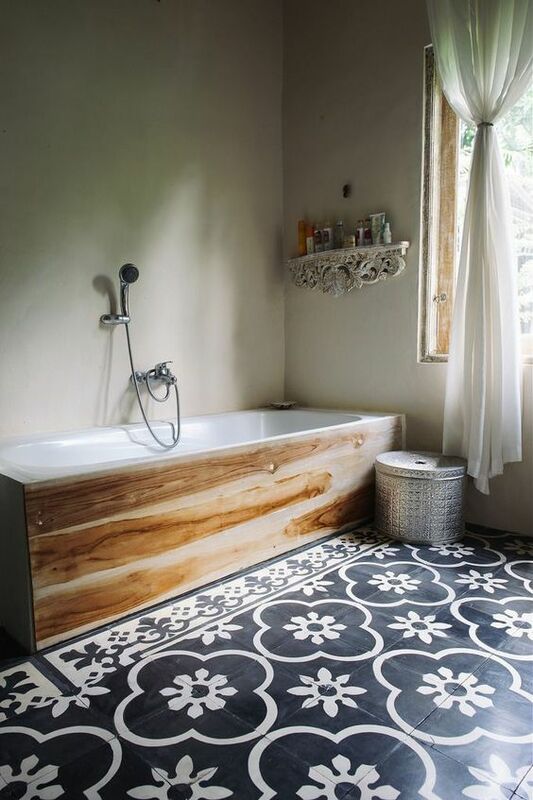 A bathtub can be wooden, which is a hot trend now, it will bring a cool natural feel to the space and turn it into a spa. 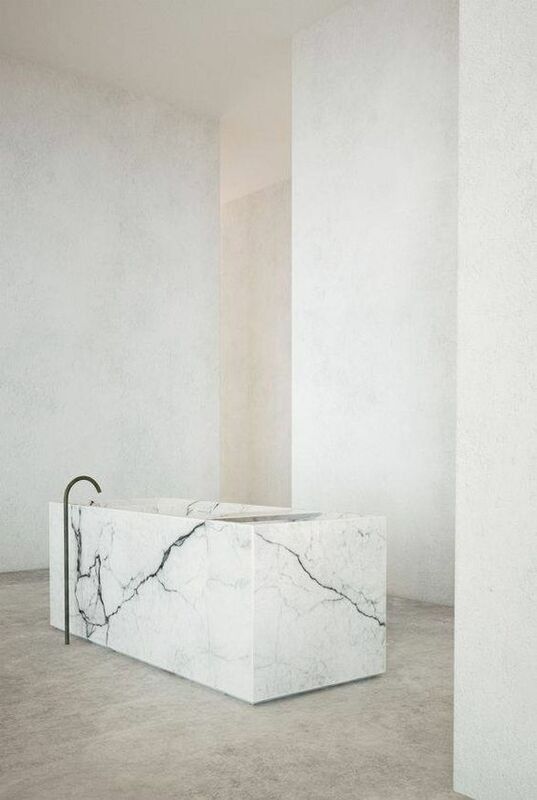 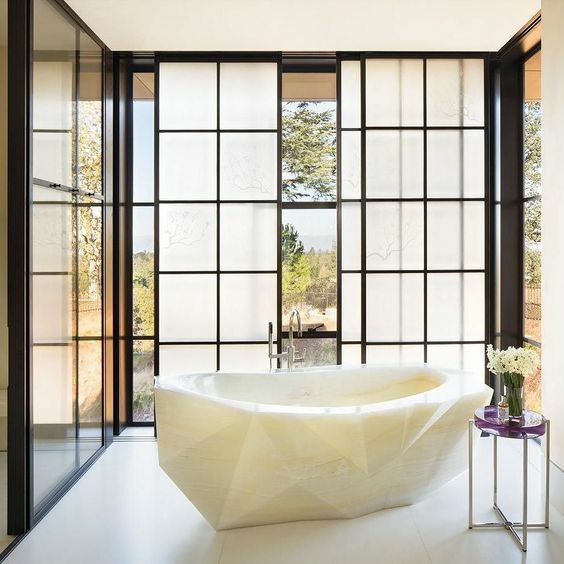 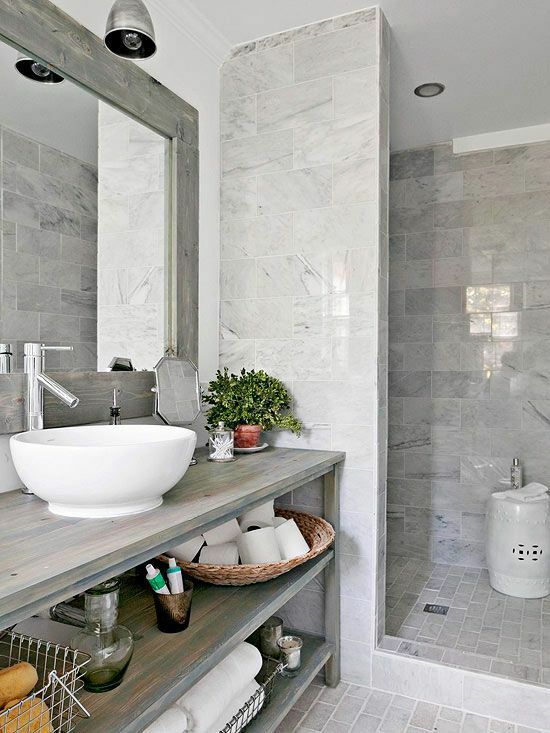 It can be carved of stone or marble for a luxurious look but if it’s too expensive, you can just choose an exquisite clawfoot tub or clad your own one with cool tiles or wood – it will be a statement! 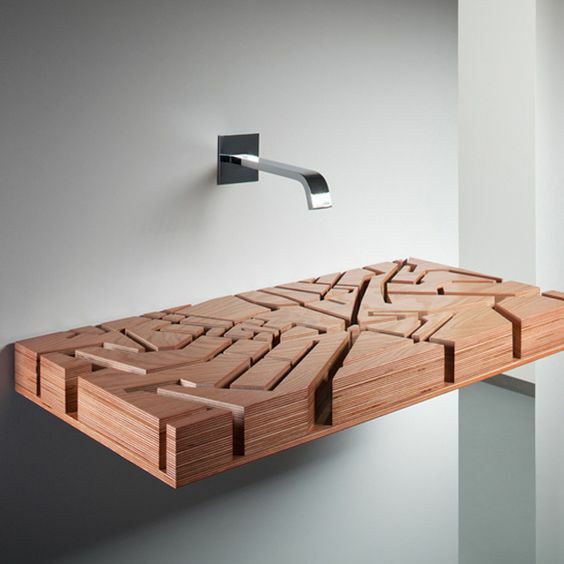 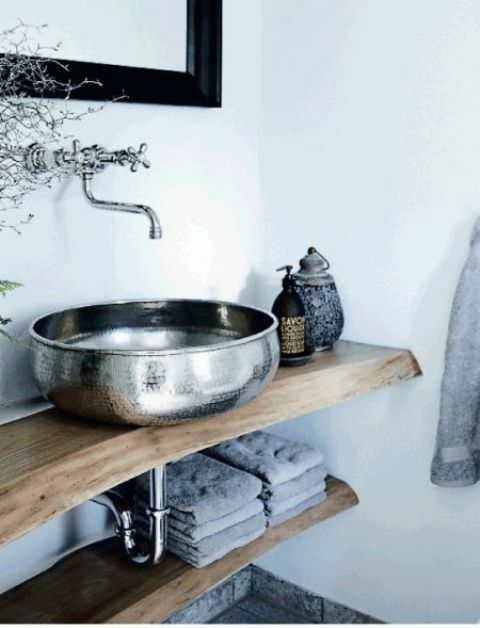 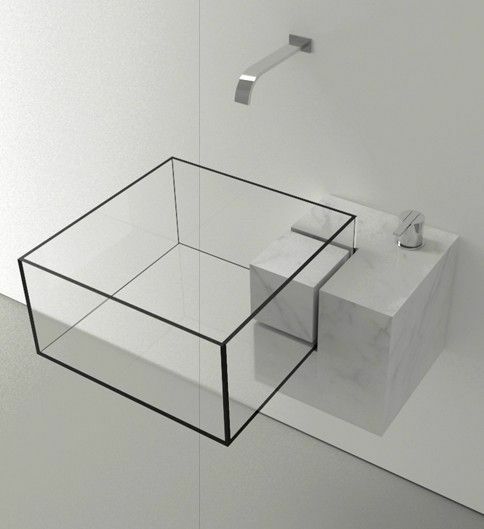 As for sinks, look for some designer’s piece you like and rock them. 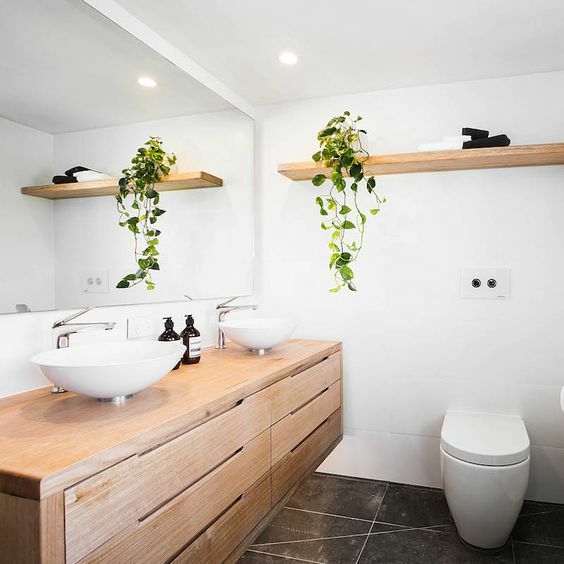 Potted plants of different kinds and sizes are going to enliven any bathroom, even the most minimalist and laconic one, this is a very budget-savvy solution. 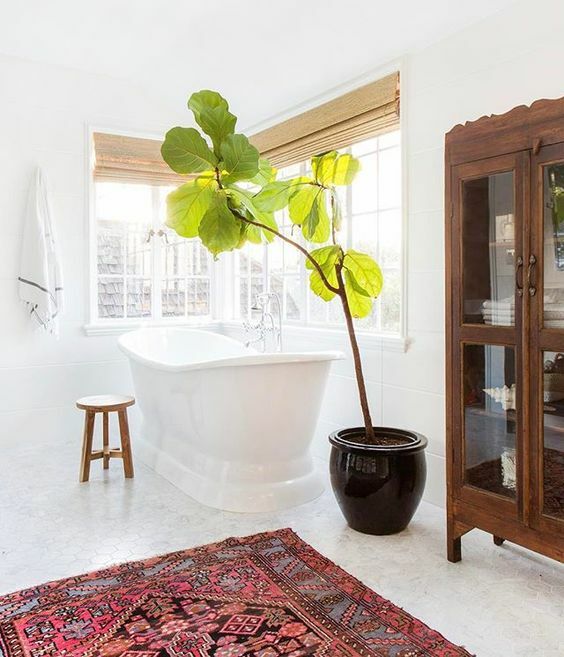 Get a large palm tree in an eye-catchy planter to add a chic touch or a climbin one placed on a shelf. 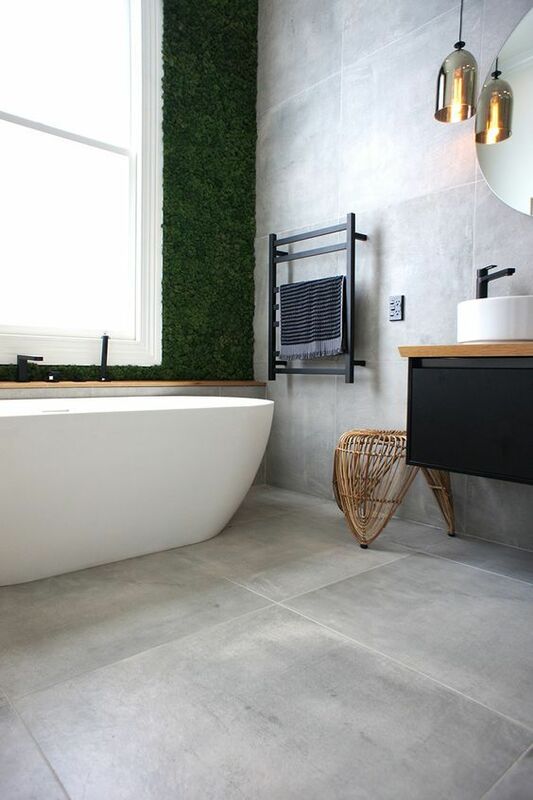 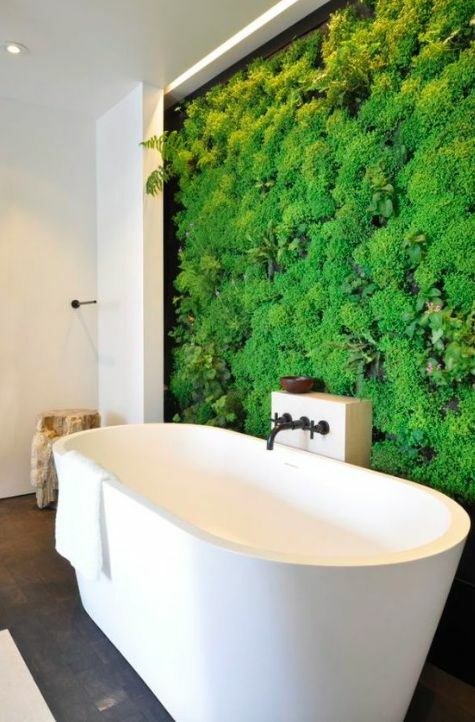 A living green wall is a super hot trend in inner décor today, so you can easily rock one and it will make your bathroom a luxurious one.